In response to the rising demand for electric bikes and trikes, Falco eMotors presents the future of eBike System — the 5-phase motor. Since its highly successful road bike tests, Falco’s 5-phase motor has taken on the e-assist community by storm. Bikers are thrilled about the vast improvements Falco has brought to the rides. Falco e-Motors pioneering has resulted in an overwhelming anticipation for the lightning fast, feather-weight, eBike HX Motor Technology. High performance trikes and bikes having been incorporating motorized systems for years. However, the HX 5-phase Motor brings performance to another level. Significant features and internal architecture separates the 5-phase motor from mainstream 3-phase motors. Falco’s motor design offer riders a boost in power and torque even through uphill climbs, turns, and the toughest of off-road conditions. Its Zero Resistance Pedaling ensures that the biking experience is not compromised by pedaling difficulty that often plagues eBike systems. The light weight HX Motor introduces an extremely compact design that is adaptable to any bike and is engineered for quick installations. 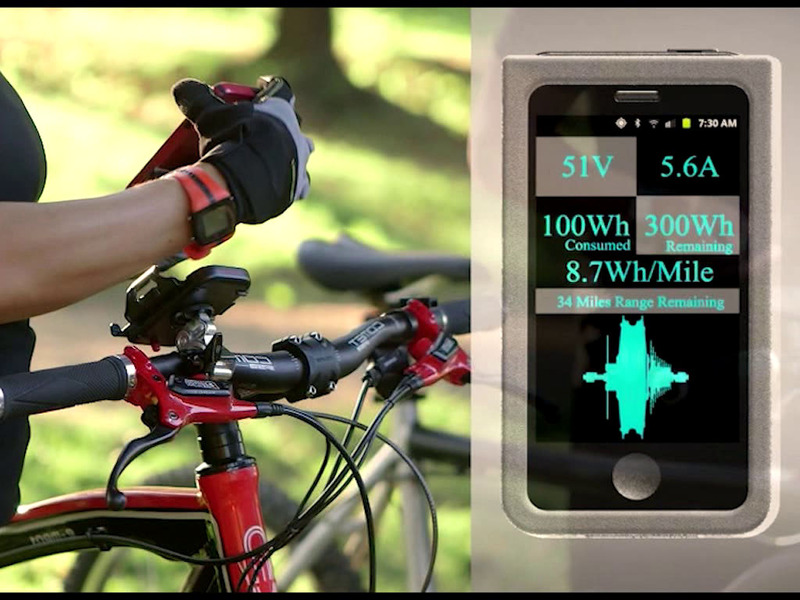 Falco is the first to introduce the ANT+/BLE technology to an eBike. This wireless system allows interface with apps and devices providing measurable data such as temperature, speed, distance, battery voltage and current, range etc. Furthermore, Falco’s 2 in 1 command console offers bicycle and eBike tracking. Falco’s HX Motor is able to deliver a torque of 486 in-lbs. vs. 283 in-lbs. furnished by a 3-phase motor of the same size and weight. 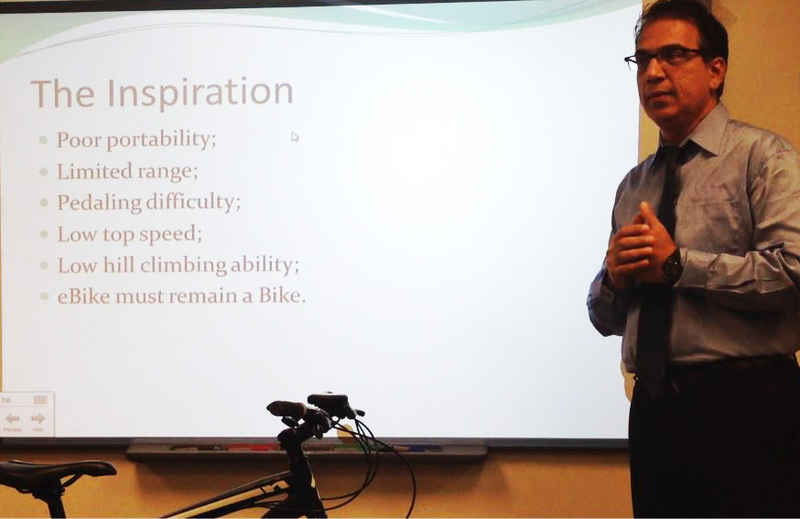 Customization is an intimate concept in the biking community. Therefore, the design team at Falco opted to make their motors “open systems”. Various sized batteries (up to 55 volts) are interchangeable, effectively enabling riders to use certain batteries for maximize trail efficiency. Falco embraces each rider’s decision to customize their ride experience and mix and match eBike components to create a fully unique ebike. Below is a comparison of key technologies with respect to critical functionality. The design team at Falco e-Motors constantly strives to blend design, style, and performance into each of their eBike motors and components. Their philosophy centers on pushing innovation through technological advancement and ecological awareness. 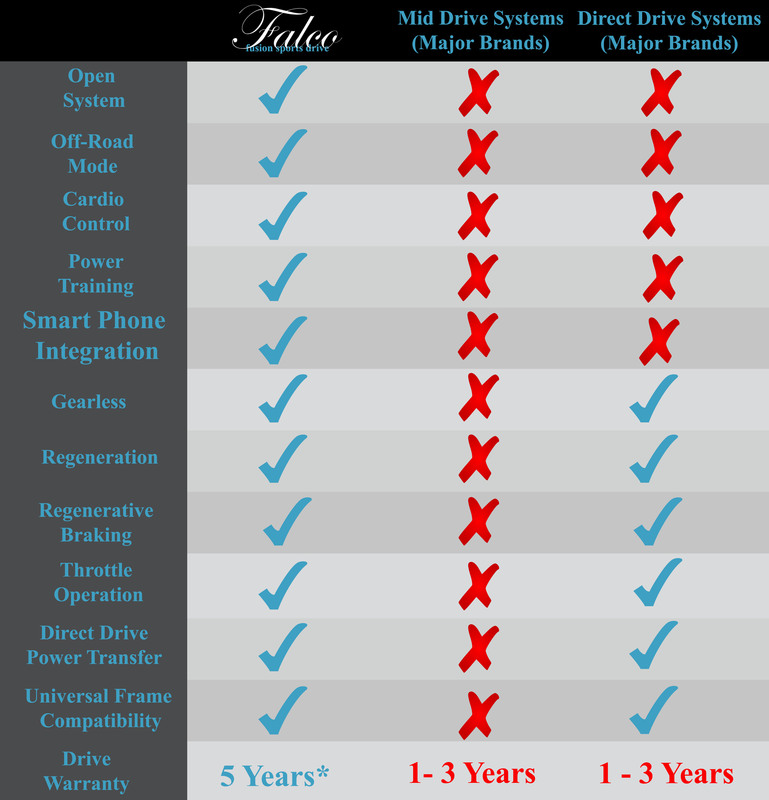 Contact Falco at 877-278-6323 or info@falcoemotors.com.